Our rich industrial experience supports us in offering a wide range of Single Bag Dust Collector. These Furnace Headers are acknowledged for their high quality and durability, among our customers across the nation. 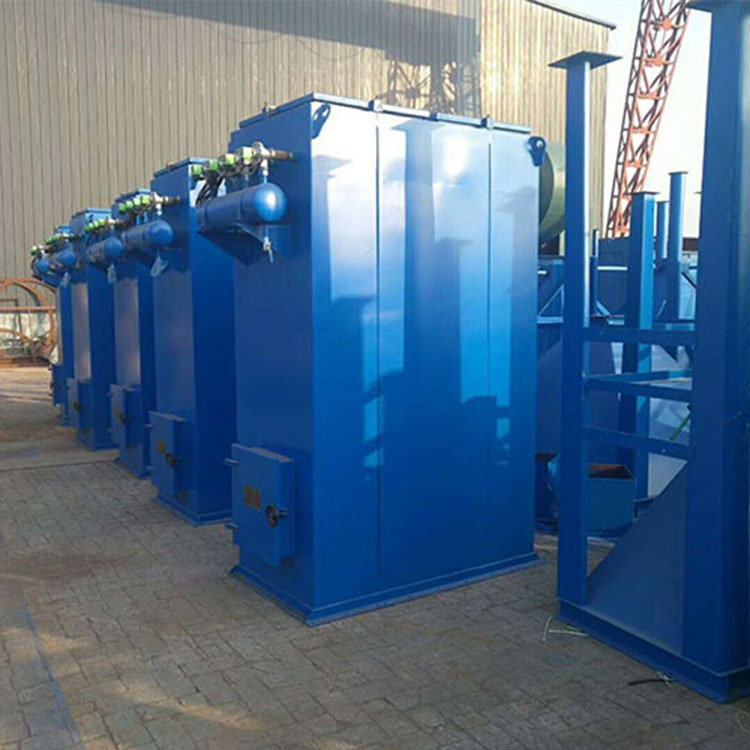 We are a Leading Manufacturers, Suppliers & Exporters of Dust Collector comprises a cyclone separator reverse pulse jet bag filter and a centrifugal fan. Heng Rui environmental protection - Chinese manufacturers specializes in the production of various industrial dust remover equipment, pulse bag filter, cyclone dust remover, desulfurization and dust remover, boiler special bag dust remover, PL single machine dust remover, dust collection bag, dust skeleton and other dust accessories. The company has strong technical force, strict quality management and high quality after-sales service, won the high praise of the vast number of users both at home and abroad, and in line with the belief of "creating fine products and climbing the peak forever" service to every customer! Box: including bag chamber, air chamber, perforated panel, filter bag, filter bag skeleton, maintenance door and box, and design 5000Pa. The injection system includes main pipe, blowpipe, pulse valve and control instrument. The intake discharge part has two forms: one is the standard with bucket type, the other is the open flange. The dust gas is entered into the ash bucket from the intake port or through the open flange mouth into the filter bag. The dust gas is filtered into the net gas chamber through the filter bag, and then through the exhaust port of the air purification chamber, the fan is discharged by the fan. Dust is attached to the outer surface of the filter bag, and the resistance of the bag dust collector is constantly rising. 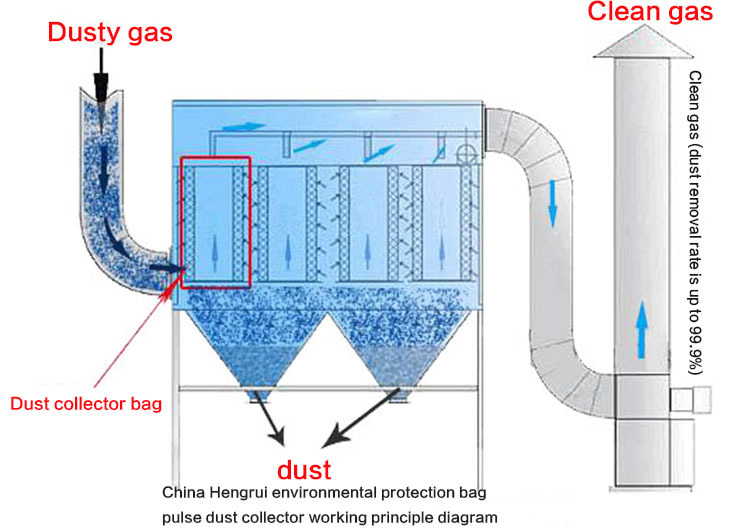 In order to make the resistance of the equipment not more than 1200Pa, the bag dust collector can continue to work, and the dust on the dust collection bag should be cleaned regularly. The ash cleaning is made by the timing sequence of the program controller to start the pulse valve to make the compressed air (0.5~0.7MPa) in the gas package, and the air (called the first wind) is induced by the blowpipe hole (called the first wind) through the venturi tube to induce several times the air around the one wind (called the two wind) into the filter bag for a sudden rapid expansion and shake off the dust with the reverse direction of the air flow. To achieve the purpose of clearing ash. The single machine has various specifications: DMC-24, DMC-32, DMC-48, DMC-60, DMC-78, DMC-90, DMC-120 and other specifications. The price is negotiated according to the type and specific requirements. The main technical parameters of the bag filter are air volume, gas temperature, dust concentration and humidity. 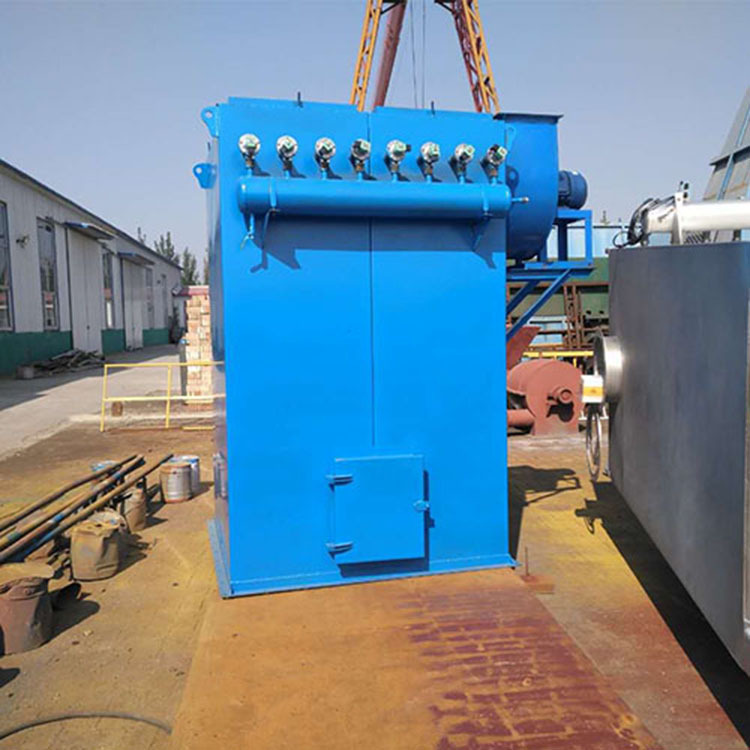 According to the value of air volume, gas temperature and dust concentration in the process design, the relative dust collector model, that is, is the type of dust collector needed, according to the principle of slightly less than the numerical value in the technical performance table. 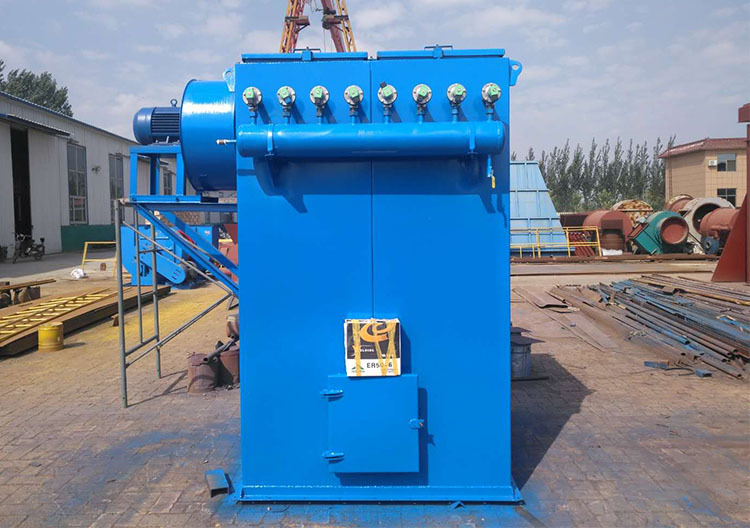 DMC single machine pulse precipitator is a small bag filter. There are two kinds of dust cleaning methods: Online injection cleaning and off-line injection cleaning. The technology of high pressure (0.5~0.7MPa) large flow pulse valve by row filter bag blowing ash cleaning technology, compared with other single machine in China, has the advantages of good ash cleaning effect, high purification efficiency, long life of filter cloth, small maintenance work, safe and reliable operation, and small volume, simple and compact structure, easy installation and convenient maintenance. 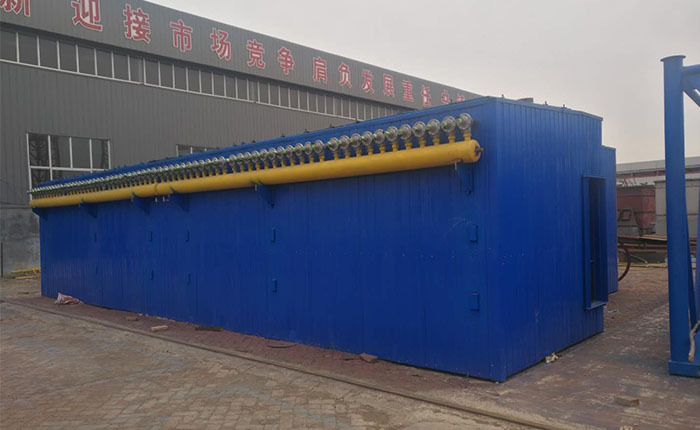 (external filter), widely used in building materials, metallurgy, mining, coal, non-metallic ore ultrafine powder processing industry and other industries containing dust gas purification treatment system, is the ideal equipment for environmental protection. Botou Heng Rui environmental protection - professional production of DMC single machine bag dust collector manufacturers, the company specializing in the production of various pulse duster, bag type dust remover, stainless steel dust remover, boiler dust remover, Cyclone Dust Collector, wet dust remover and other dust removal equipment and accessories, the products are widely used in oil, chemical, electric power, construction and other projects, Our products are sold at home and abroad, and won the praise and trust of customers. 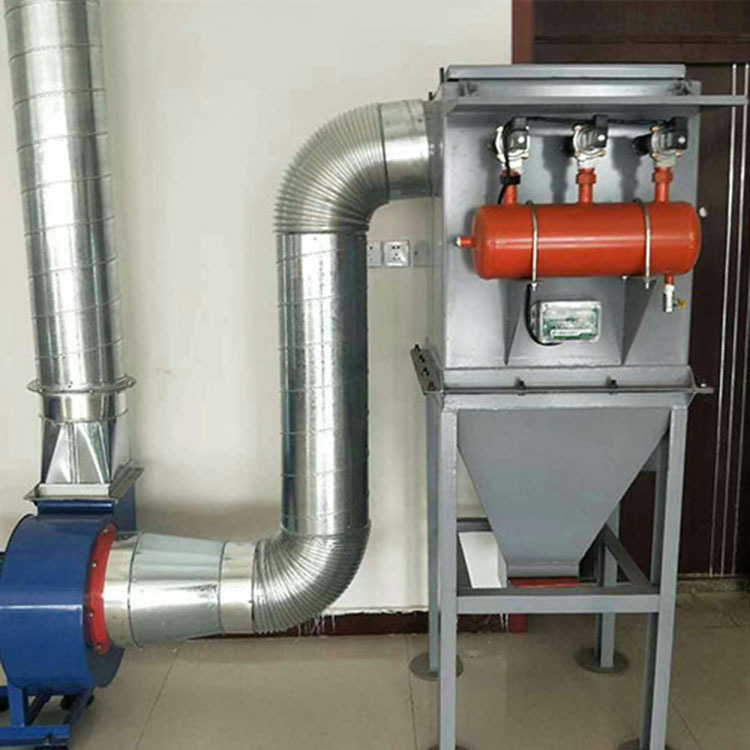 Looking for ideal Single Machine Bag Dust Collector Manufacturer & supplier ? We have a wide selection at great prices to help you get creative. 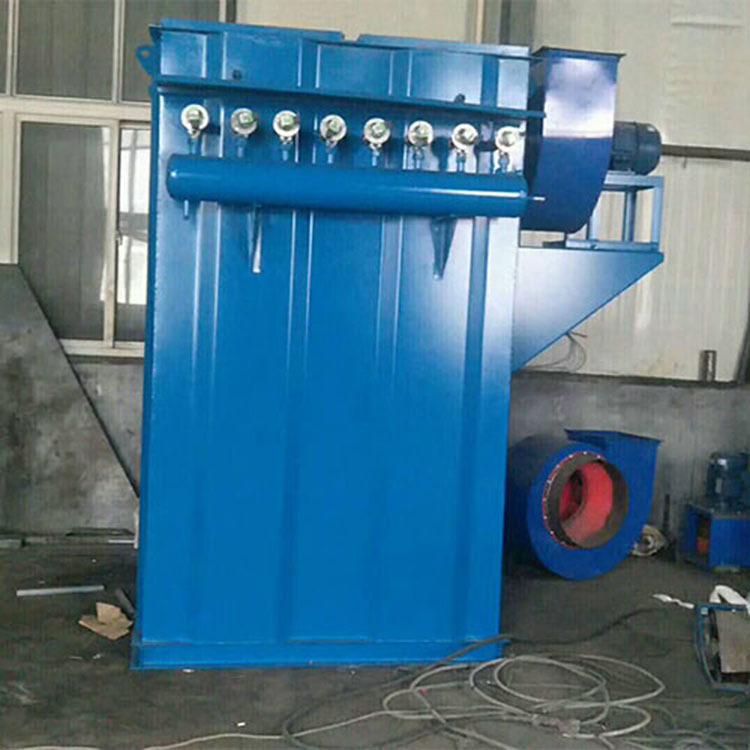 All the Single Machine Dust Collector are quality guaranteed. We are China Origin Factory of Furniture Factory Dust Remover. If you have any question, please feel free to contact us. 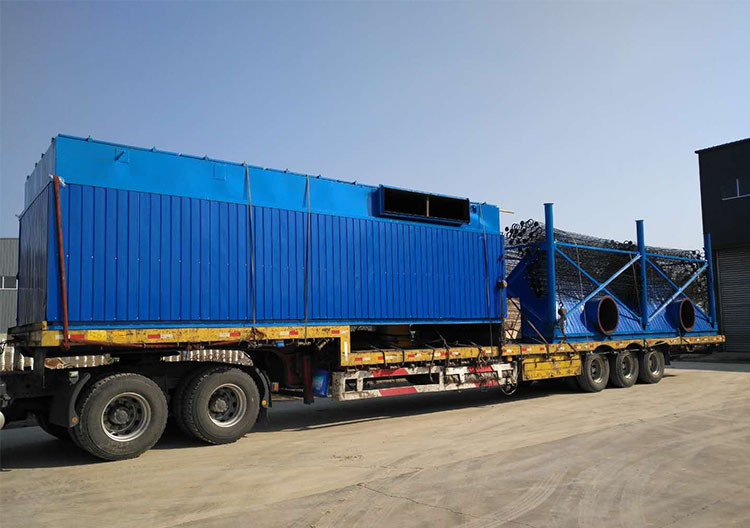 Copyright © 2019 Botou Hengrui Environmental Protection Equipment Co. Ltd. All rights reserved.